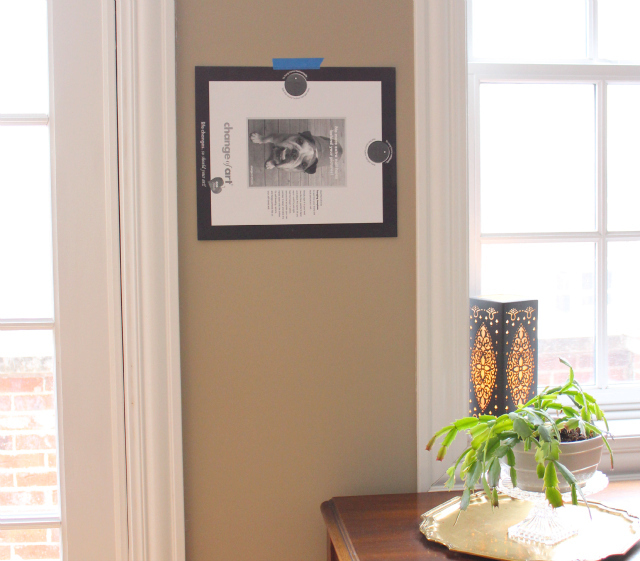 Change of Art Frames – Gallery Giveaway! I bet you can think of some special family photos or art prints you purchased months (years?) ago that are now stuffed in a closet or drawer still waiting to be hung up on the wall. Am I right? I know I am very guilty of this! It took me forever to hang up this gallery of family photos in our hallway last year. Why? Because hanging up photos, especially a grouping of them, is NOT fun. That is why I am so excited about this giveaway – a gallery grouping of six awesome frames from Change of Art. Valued at $140, it’s Design Improvised’s biggest giveaway yet! I’m telling you, these frames will change the way you think about hanging up pictures. 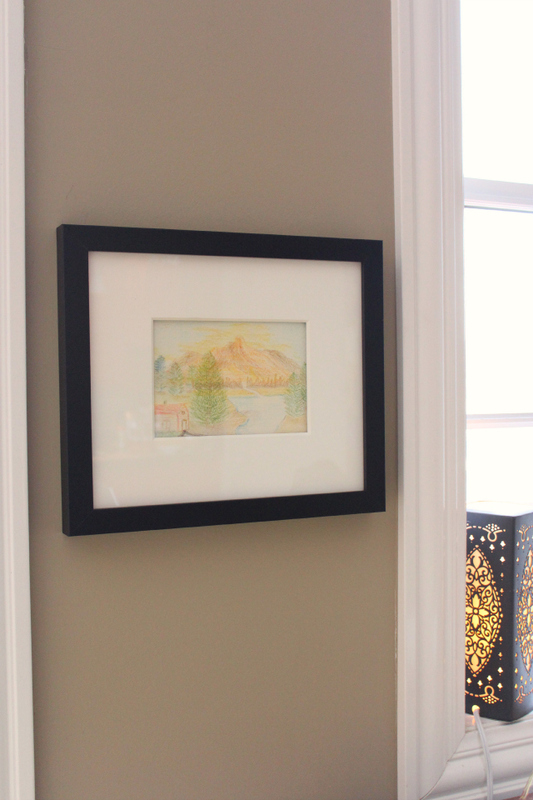 Thanks to a Change of Art frame, I finally have one of my grandmother’s landscapes displayed in the living room. I had some of her art stored away in an envelope for years, and it feels so good to have one up on the wall! This drawing means a lot to me, as she made it after having a bad stroke (she lost use of her right side and learned to paint and draw with her left hand, nonetheless). The best part, I can swap in another one of her landscapes in literally seconds. 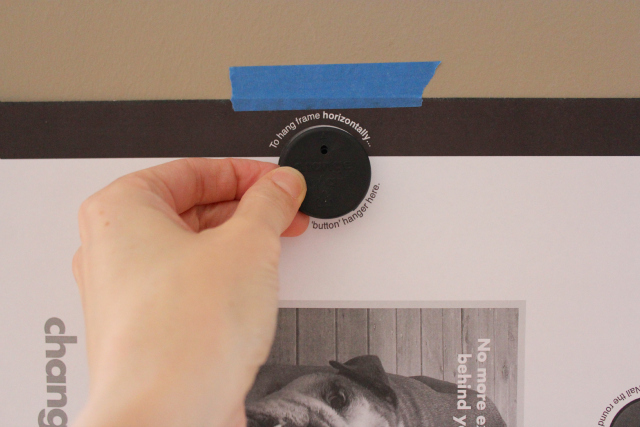 Speaking of nails – they are included as well, along with a button hanger which levels the frame automatically – how cool is that? Don’t miss out on a chance to win these frames and get some of your special pictures out of hiding! I’m giving you THREE separate chances to enter! 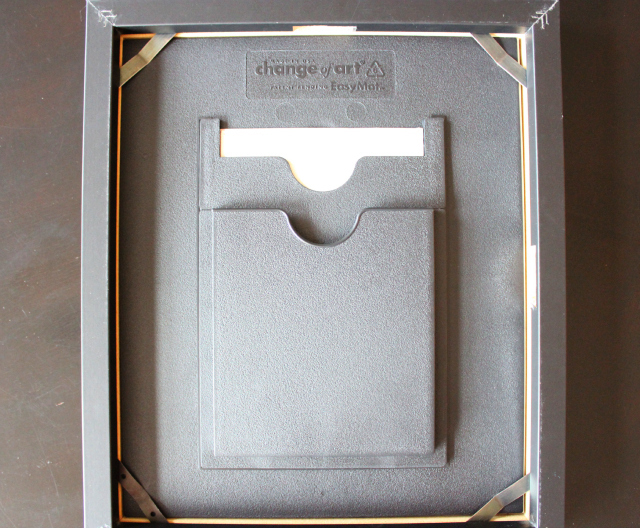 Change of Art is giving one Design Improvised reader a Starter Gallery Set which includes 4 medium frames to hold 5×7 prints and 2 large frames to hold 8×10 prints. Even better, the winner gets to choose their color of choice – either black, cherry, or white frames! These would be great, our walls are so bare! I would love to use these to spice up a naked wall in our living room!